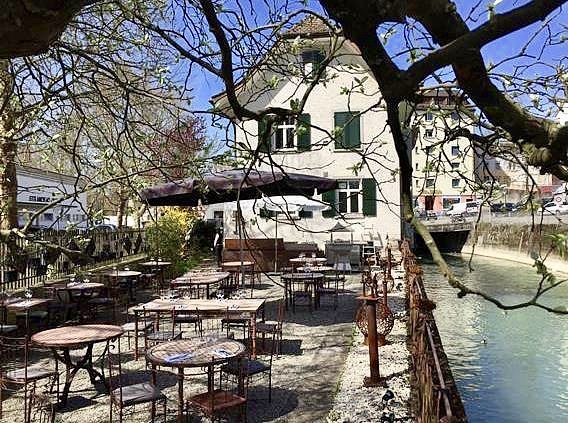 The Schlosserei, located on the Duennern River, adjacent to Olten’s old town and the public baths, is a jewel of a restaurant. The property does not hide its history, you can clearly see that there used to be a locksmith on site when entering the spacious bar. Original tools can be found here and the decor is kept “industrial” as you would expect it in a former locksmith’s workshop. 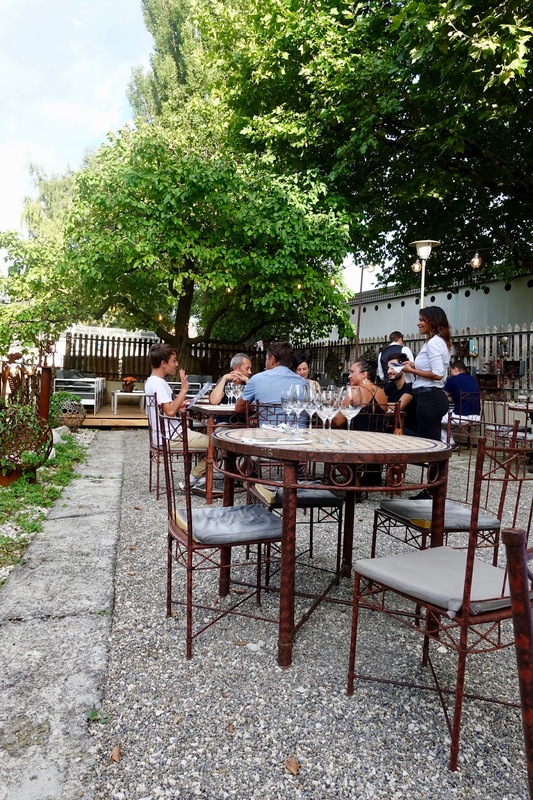 Apart from a bar and a restaurant you find here also an outdoor bar area, a garden restaurant, a smoker’s lounge, seminar facilities and even one (!) guest room. The outdoor restaurant, where my family had dinner on a hot summer evening, is lovely. It is directly on the river, a bit unkempt but it suits the place. The restaurant is also charming, you sit on comfortable chairs with views of the river. The host, Nicolas Castillo has Spanish roots, and this shows on the menu. A modern Mediterranean cuisine with strong Spanish influences but also somewhat Asian inspired is on offer. Apart from southern European specialties, modernly interpreted, sushi and sashimi is also available. While the host takes care of his guests, a chef oversees the kitchen. At the moment, Ranchal Exposito, is responsible here. Since taking on this job a year ago, he was able to bring his own style to the dishes. The chef’s tasty creations are colorful pieces of artwork too, but it is not style over substance. He perfectly knows how to prepare excellent dishes using first quality products. 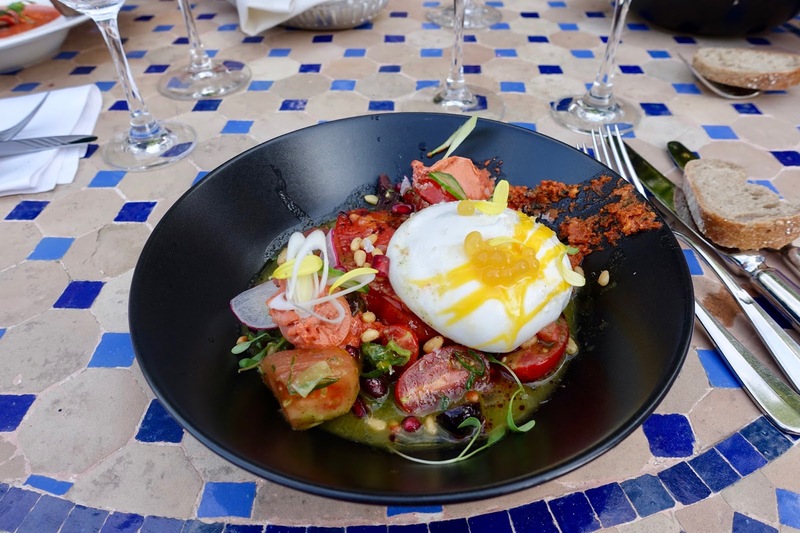 A really extraordinary starter was the Burrata di Buffala, different varieties of tomatoes in combination with Burrata cheese accompanied by a tomato sorbet and rocket salad, a true flavor explosion! Out of the main dishes samples, I liked the tuna steak best! The fish in Almadraba quality (wild caught Spanish tuna) was a real hit, incredibly tender and tasteful. Here it was served with a Wasabi sorbet – A perfect match! – and sauted vegetables. Also the desserts are worthwhile trying. 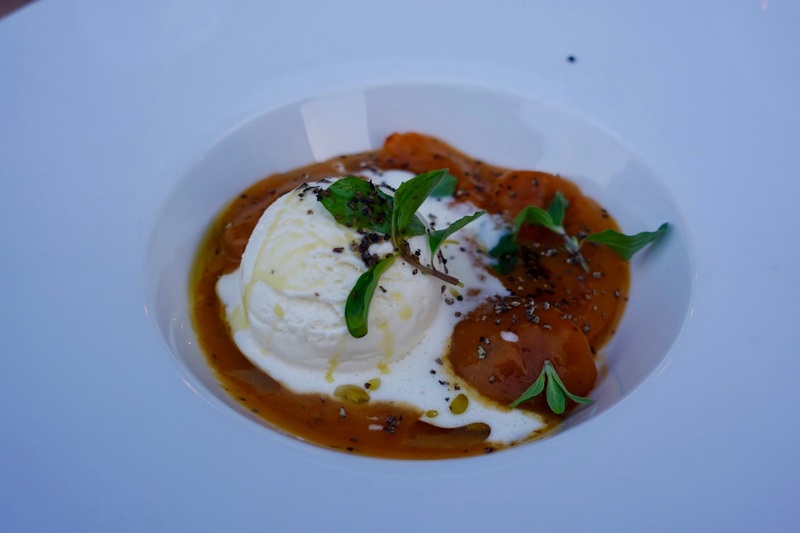 Although I am usually no fan of fruity dessert, I was delighted by the stewed apricots combined with garden herbs, yoghurt ice cream, olive oil and Maggia Valley Pepper. Each element balanced each other out perfectly both in terms of taste and texture. While the host is almost always present, he usually does not take part in servicing guests. He is neither responsible for the service nor for the kitchen, his position remains a bit vague. He takes good care of regulars, sometimes he even has dinner with friends or acquaintances. For taking orders and serving plates he employs staff that is hospitable and attentive, no complaints here. 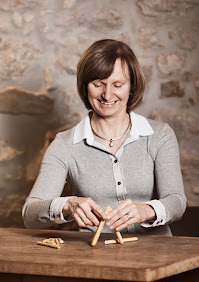 Dining at Schlosserei is not an inexpensive affair but you get good value for money here. This was not always the case here in the past. But currently I think that the quality you get is worth the price. 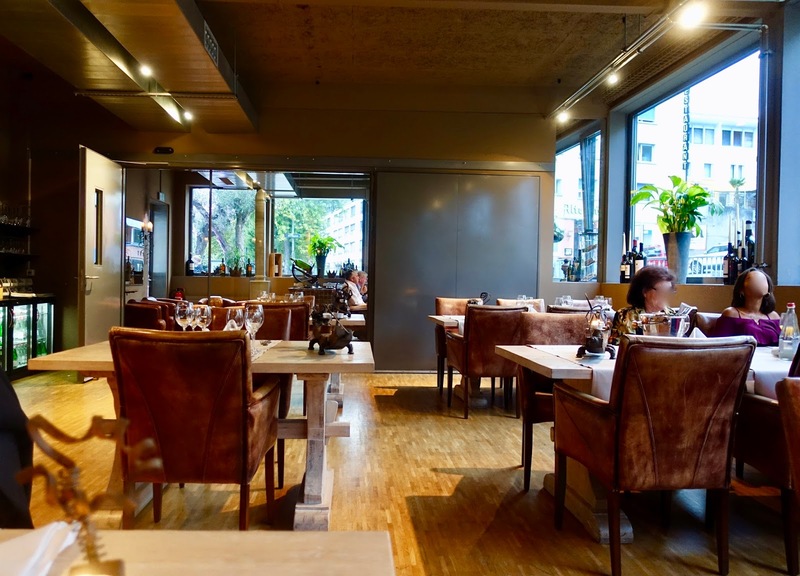 Although the host, Nicolas Castillo, has his own approach to manage the Schlosserei, you feel comfortable at the nicely located restaurant, a former workshop of a locksmith. The chef is a talented cook who knows how to prepare culinary delights that please the eye and the palate likewise. 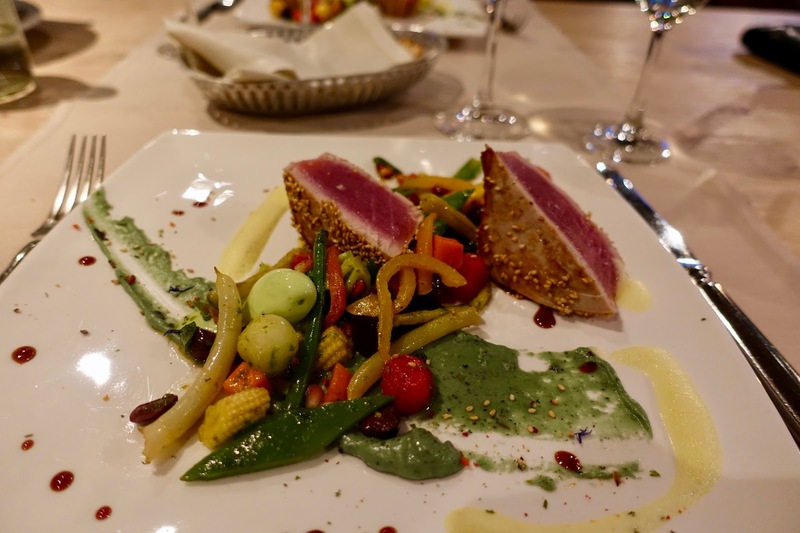 The restaurant as it presents itself at the moment is certainly part of the better upscale dining spots in the town of Olten.